Educators, parents, and counseling professionals from across Illinois attended the 24th IAGC Annual Conference on January 31 - February 2, 2019, at the Chicago Marriott Hotel in Naperville. Varied sessions are scheduled to support both veteran and novice educators in all roles and across all grade levels in addition to school psychologists and social workers and of course parents. Conference strands include: Acceleration, Effective Program Leadership, Evidence-based Curriculum and Instruction, Social-Emotional, and Underserved. Dr. Stambaugh is an assistant research professor in special education and executive director of Programs for Talented Youth at Vanderbilt University. Stambaugh conducts research in gifted education with a focus on students living in rural settings, students of poverty, and curriculum and instructional interventions that promote gifted student learning. Dr. Stambaugh is the author of the Effective Curriculum for Underserved Gifted Students: A CEC-TAG Educational Resource. 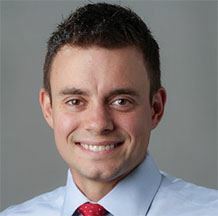 Dr. Peters is assistant professor of educational foundations at the University of Wisconsin–Whitewater, where he teaches courses related to measurement and assessment, research methodology, and gifted education. His research work focuses on educational assessment with regard to policy and practice, identification of student exceptionalities—particularly those from low-income or underrepresented groups—and gifted and talented programming outcomes. Dr. Peters has written several books on gifted education, including Beyond Gifted Education: Designing and Implementing Advanced Academic Programs and Excellence Gaps in Education: Expanding Opportunities for Talented Students. He was recently named the NAGC Association Editor. Dr. Wood is currently an associate professor at the University of Iowa where she teaches both doctoral students and students who are pursuing their master’s in school counseling with an emphasis in gifted education in partnership with The Connie Belin and Jacqueline N. Blank International Center for Gifted Education and Talented Development. Her research interests encompass preparing school counselors for their practice with a focus on serving the gifted population in collaboration with other educators and professionals. She is the author of Counseling Gifted Students: A Guide for School Counselors. 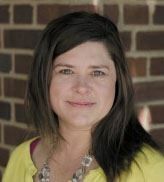 Ms. Maloney is the K-12 Coordinator of Advanced Academic Programs (AAP) in Fairfax County Public Schools in Northern Virginia. She has worked in gifted education for over 10 years and is a National Board Certified Teacher. Prior to joining the AAP office, she worked as a self-contained Advanced Academic Center Teacher, an Advanced Academic Resource Teacher, and a general education teacher in Maryland and Virginia. In her current role, Kirsten works with K-12 teachers to implement a four-level continuum of AAP services. District and school administrators are encouraged to attend one of two the recently developed Acceleration Administrator Academies focused on legislative updates related to advanced learners, including the Accelerated Placement Act, ESSA, and School Report Card. Additionally, there are several presentations focused on acceleration as a tool for educating gifted children. There are many sessions that will interest parents scheduled on Thursday and Friday. Additionally, Saturday morning's Parent Saturday is focused on nurturing and raising gifted children, which may also be of interest to psychologists and social workers. Counseling professionals will find sessions of interest on multiple topics to assist in supporting the social and emotional needs of gifted and talented learners. All attendees will have the opportunity to visit our Exhibitors Showcase, which will be available on all three days. Exhibitors include publishers of educational and enrichment materials, gifted enrichment programs and gifted schools. Make time in your schedule to see what they have to offer. Additionally, all attendees are invited to attend our Annual Membership Meeting, which will be held at 3:45 p.m. on Thursday. Learn about IAGC initiatives and how you can support our organization to better meet the needs of gifted children in Illinois. Interested in staying in Naperville? The Marriott offers discount rooms for Wednesday, Thursday or Friday evenings for those booking early. Make your hotel reservations today.